It was an incredible sight – 40,000 poor farmers and landless labourers walking over 200 kilometres, from Nashik to Mumbai. They captured the city’s imagination and left it with an enduring memory. They outsmarted far more powerful adversaries. They made the deaf hear and the blind see. extraordinarily disciplined, democratic and dignified protest? 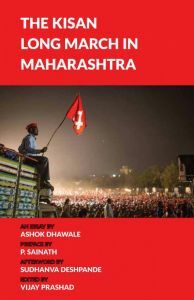 Ashok Dhawale, one of the main leaders of the march, writes a lengthy and detailed essay that is analytical as well as gives a rich sense of the nuts and bolts of the march. Sudhanva Deshpande’s Afterword profiles some of the organisers who made the march possible. This slim, readable volume, with stunning photographs reproduced in full colour, also contains a Preface by P. Sainath, India’s most important chronicler of agrarian conditions and rural distress over the past three decades. 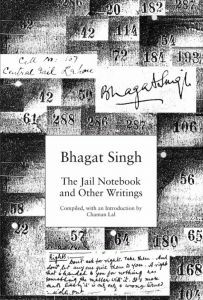 Palagummi Sainath (born 1957), one of India’s best-known journalists, is the founding editor of People’s Archive of Rural India (PARI). He was The Hindu’s Rural Affairs Editor till 2014. Previously, he worked at Blitz and United News of India. He has lectured and taught at various institutions, including the Asian College of Journalism, Chennai. Sainath is the author of the bestselling Everybody Loves a Good Drought. He is the recipient of numerous awards and fellowships, including, in 2007, the Ramon Magsaysay Award. Two documentary films on his work, Nero’s Guests and A Tribe of his Own, have received over 20 international awards. Sudhanva Deshpande is an actor and director with Jana Natya Manch (Janam), a radical political theatre group based in New Delhi, and Managing Editor with LeftWord Books since its inception in 1999. He has edited Theatre of the Streets: The Jana Natya Manch Experience (Janam 2007) and co-edited Our Stage: The Pleasures and Perils of Theatre Practice in India Today (Tulika 2009). He has co-directed two documentary films on Naya Theatre and Habib Tanvir. He has been involved in the creation and teaching of India's first capacity building training course for theatre, SMART. Since 2012, he has been involved in the conceptualisation, creation, administration and programming of Studio Safdar and May Day Bookstore, New Delhi.